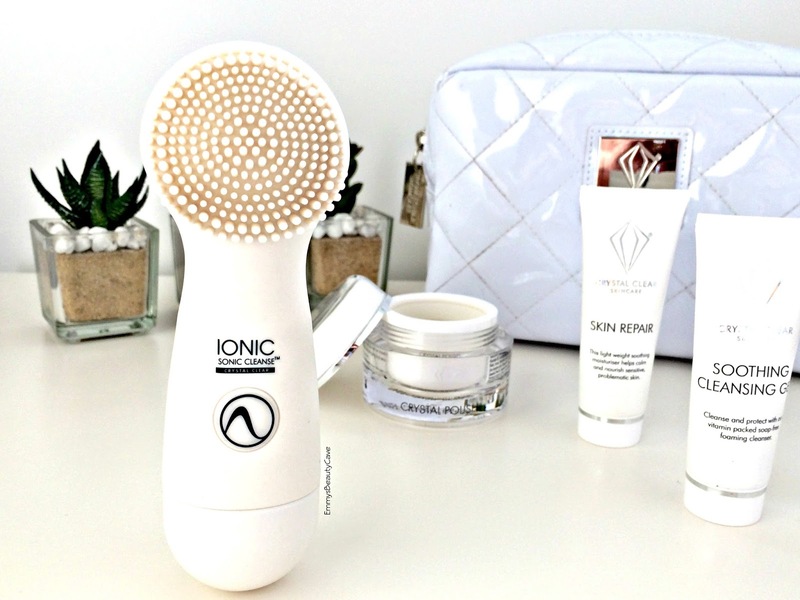 The Crystal Clear Ionic Sonic Cleanse Kit is different to anything I have seen before. The cleansing brush itself isn't so much a brush as the bristles are silicone and never need replacing. Alot of other sonic cleansing brushes are brush like bristles which will eventually become worn and need replacing. I have sensitive skin and when I have used a brush cleansing brush I found it irritated my skin as it felt rough on my skin. But I adore this cleansing tool and the silicone bristles are super soft against my skin. The kit includes 3 other items including Crystal Clear Cleansing Gel, Crystal Clear Crystal Polish and Crystal Clear Skin Repair Moisturiser. I was intrigued by the products and couldn't wait to try them out. 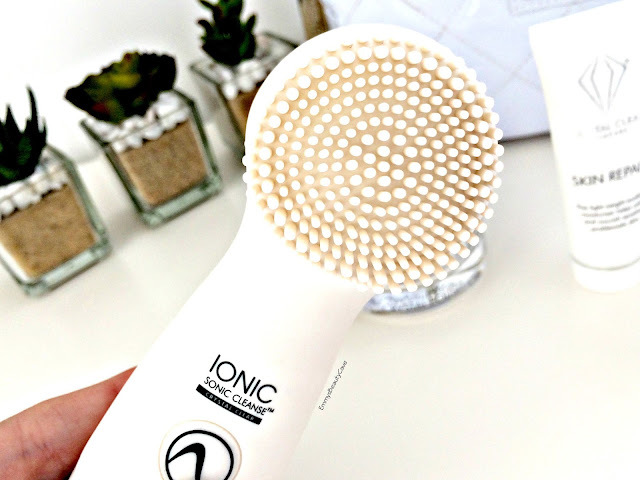 The Ionic Sonic Cleanse can be used on face and body which is another thing that makes this product perfect. Crystal Clear Cleansing Gel | This is a soap free foaming cleanser which leaves the skin feeling refreshed and cleansed. Crystal Clear Crystal Polish | Is perfect for exfoliating the skin. It includes Jojoba Beans which will help your skin look healthier as it helps to balance out your skins sebum levels. 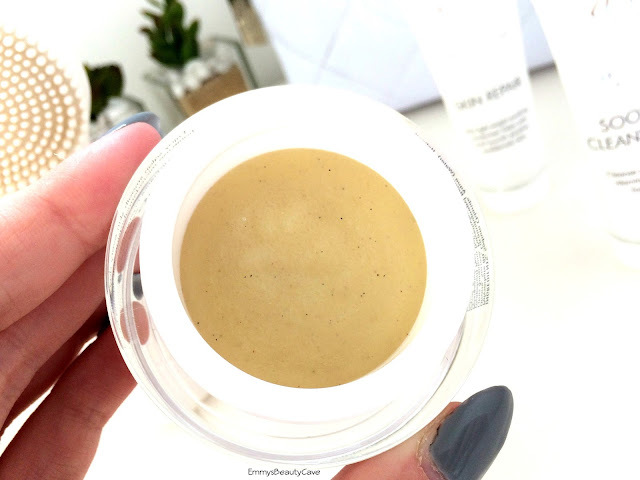 Crystal Clear Skin Repair Moisturiser | This helps to reduce the appearance of fine lines and wrinkles and also helps to firm the skin. For me even though I am 24 it is important to start using products for anti ageing as it will help your skin in the long run. I have been using the kit for over a month now and I can honestly say my skin is looking the best it ever has. I have mainly oily skin but it can also be combination at times and it is quite sensitive. The products haven't irritated my skin at all which is a big thing for me. The silicone brush is the star of the show for me as I find it much softer on the skin so this will be perfect for anyone with sensitive skin. The Crystal Clear Ionic Sonic Cleanse Kit retails for £79.99 which is an amazing price for something of this quality. You can buy it from Ideal World, it would even make a perfect Christmas gift too as the kit comes in a lovely white bag.